After an intense day of workshops and socialising on the 6th, day 2 kicked off with a lovely breakfast and then straight on to workshop sessions. Day 2 is detailed below and day 1 is here. 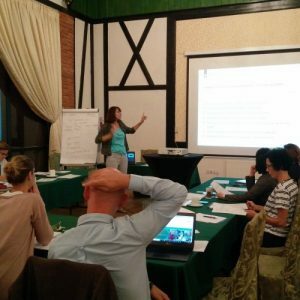 Day 2 started with a fun-filled session led by Agnieszka Pawlikowska, a senior lecturer of English for Legal Purposes at Nicolaus Copernicus University in Toruń, Poland. the marks gained from idioms in TOLES make up a small percentage of the total. 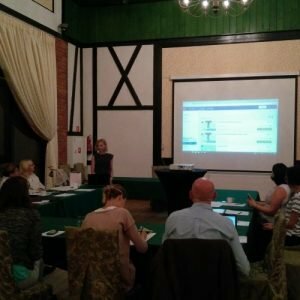 Therefore, Agnieszka was faced with a dilemma – how to teach idioms, but in a way which didn’t waste time so that she could spend more time on more relevant topics such as understanding contracts. As a class we tested out these resources on our phones and computers and I must say that trying Kahoot was extremely fun. Despite most of us having had a lively social event the previous evening, we were all very much woken up by this session first thing and it certainly brought out the competitive side of all workshop participants! I look forward to a rematch next time, as I didn’t win! The next session was by Aleksandra Łuczak who runs a number of Legal English courses as an ESP teacher and the Head of Legalinguistics Section at her University. 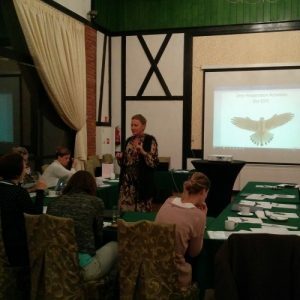 She runs a really helpful blog as well as Pustulka a platform which allows teachers to use and create tests for students- no coding knowledge required! 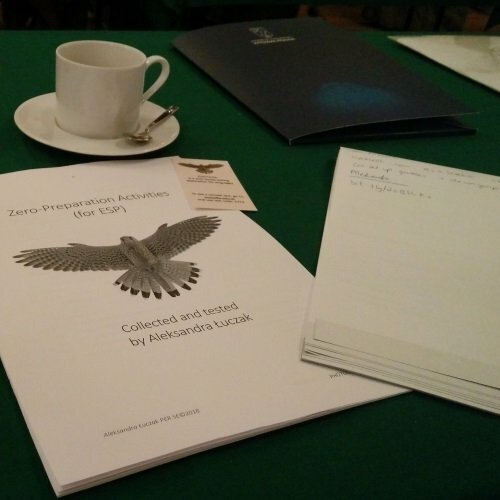 Aleksandra gave us a handout with an extensive list of resources and exercises we can use in our own classes, which she had tested so that we as Legal English teachers, could reduce the amount of time we spent preparing for classes. The last speaker we had was Stepanka Bilova, a colleague of Radmila who spoke on day 1, from Masaryk University Language Centre, Czech Republic. As Radmila had explained how their university develops its exams, Stepanka spoke about how they teach the Legal Writing aspect which is then tested in these exams. Students work in groups to answer questions about the case such as ‘was there a duty of care’? Students get an extract opener from a lawyer to the client and are asked to complete it using useful phrases given and the work they have previously completed. As I mentioned in the write up for day 1, this was a fantastic experience. I got to try out some exercises which I can use in my own Legal English classes and on top of this it was helpful to see the different teaching techniques used by the workshop presenters as they explained the exercises to us. 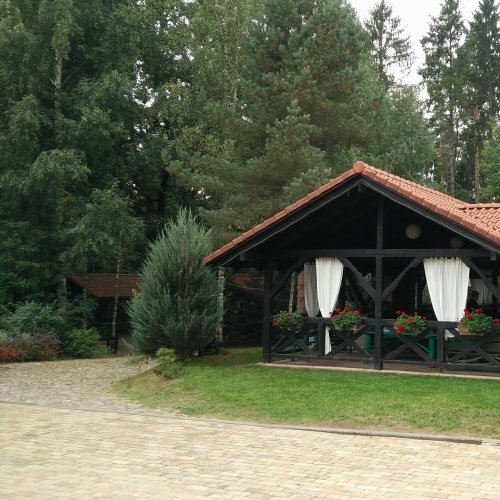 On top of this I made some great connections with other Legal English professionals and got to sample the delicious Polish cuisine – all in the beautiful location of the resort we stayed in. I came away feeling greatly inspired!